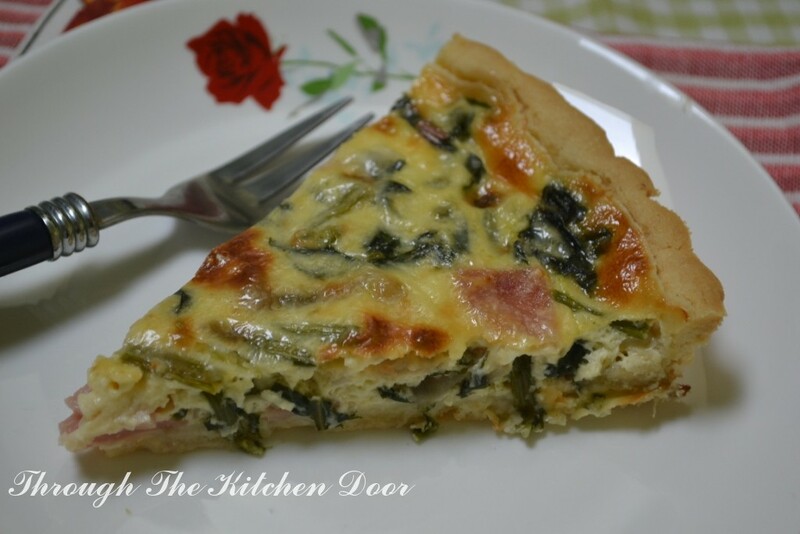 I have made a Crustless Tuna & Ham Quiche before somewhere last year, but I was not happy with the outcome. Probably I am still new in my cooking and baking. 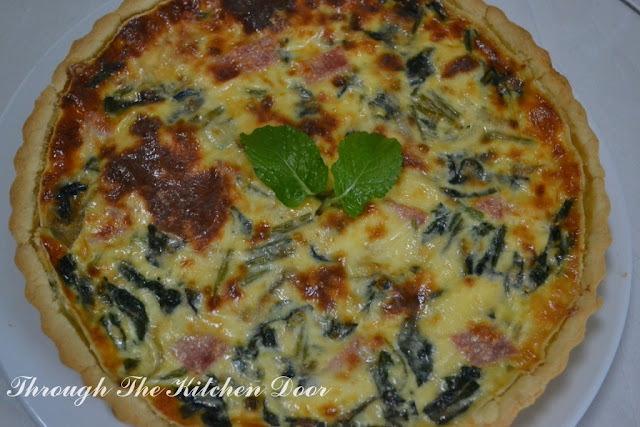 Since everyone at home loves to eat tarts, pies and quiches, why not I try to make it. And for quiches, I can always add ingredients to suit our tastes instead to follow the same old ingredients. 1. Place a baking tray in oven and preheat oven to 220C. 3. Roll pastry out in a circle on a lightly flour surface and use a line 20cm greased tart tin. non stick pan. Spoon into the tart tin. Add and scatter the ham over. ham/spinach and scatter the remaining grated cheese on top. 6. Bake for 10 minutes, then lower temperature to 190C and continue for 30-35 minutes. Overall this quiche is delicious though the look of perfection is not to the standard. Next time I will try to bake with other ingredients. 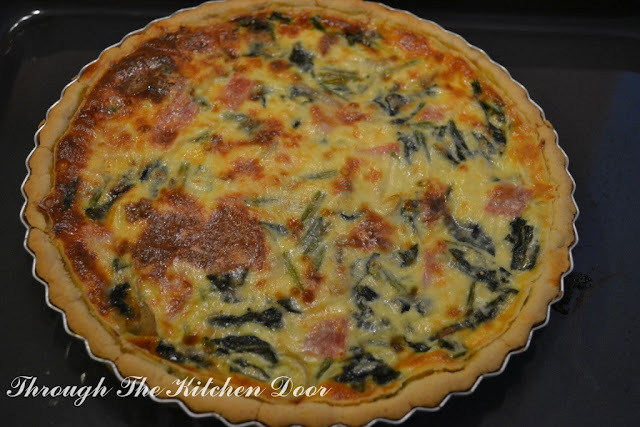 I seldom make tarts, pies and quiche, look at your, remind me of the quiche recipe that i learnt but i have yet to attempt to make it at home. You have a beautiful quiche.